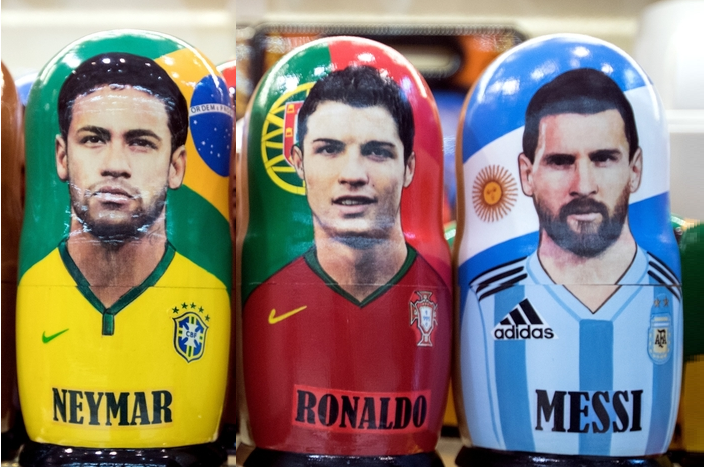 As from today the third group matches start in the Russian World Cup, which is the final phase before the knock-out games where 16 teams will be eliminated and the remaining 16 get to decide who becomes world champion. 8 teams have qualified so far, and 4 are very likely to follow suit. The probability of who will end where in the groups has thus become quite high at this point of the tournament and as many of the qualified teams have already stated they will rest their best players for the third matches, computer models have been loaded with all possible data entries to calculate how the knockout states will likely end up. Handy if you’re planning on placing a bet or are involved in an office pool of course. The games the computer models ended up with are: Uruguay versus Portugal, France versus Nigeria or Argentina, Brazil versus Germany, England versus Japan, Spain versus Russia, Croatia versus Denmark, Mexico versus Switzerland and lastly Senegal versus Belgium. Of all those games, the top draws would certainly be Brazil versus Germany as it is a rematch of the infamous 1-7 semi-final of 2014 and thus a chance for Neymar and his troops to wipe out that result, given that the Germans do not seem to be in great shape. The second major matchup looks France versus either Nigeria or Argentina. With all due respect for Nigeria’s result, we are kinda hoping to see Messi pull through one last time. As France made it to the final of the Euro 2016 and Argentina to the final of the 2014 World Cup, that game would be fireworks guaranteed. Leader Russia kicked off its third game just minutes ago versus Uruguay whilst Saudi Arabia and Egypt are mostly playing for the honor of who comes third in that group. Tonight Spain will take on the already eliminated Morocco whilst Iran need to beat Portugal in order to qualify. Real Madrid striker and footballer of the year Ronaldo will be looking for openings in the Iranian defense as England’s Harry Kane overtook him at the top spot for best striker of the tournament yesterday.